In I, Sniper, four Vietnam-era peaceniks are shot dead and retired military sniper Carl Hitchcock is framed for their murders. (The Hitchcock character is based, as you’ve guessed, on famed USMC sniper Carlos Hathcock). Swagger soon realizes that Hitchcock, a fellow ex-Marine and Vietnam vet, is innocent, while the real killer, who’s using high-tech, electronic sniper gear, is still at large. Swagger sets out to find the actual shooter. If you liked Hunter’s Point of Impact, you’ll probably love the new book. The plot is compelling and Bob Lee Swagger remains the ultimate marksman/crime solver. 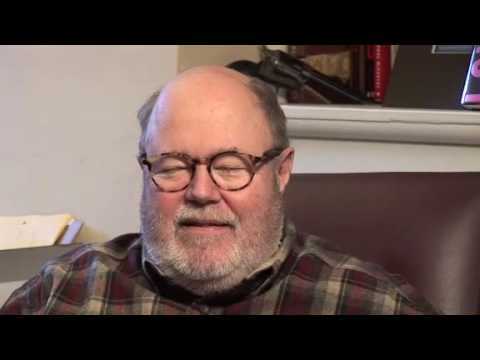 Hunter, an avid shooter and Pulitzer-prize-winning journalist, knows his firearms, so the gunfights and other action scenes are believable, and the discussions of long-range shooting and ballistics are correct. This book is classic Bob Lee Swagger. Great read. Also, as a gun owner and 2nd Amendment supporter, I love the not-so-subtle-jabs at the liberal media and their woeful understanding of the south, gun culture, law abiding citizens who own guns legally. [Hunter] picks on the New York Times, which is hilarious and accurate. Great job Mr. Hunter. Hunter is at his best in I, Sniper. Dialogue? Crisp, real, down to earth, and sometimes hysterically funny. Action? Have a box of Depends at the ready. Technical support? Pay attention. Reading Hunter is like taking a Master’s course in armament. 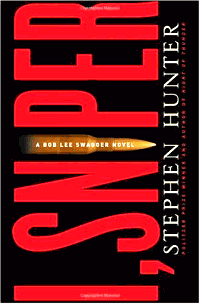 Share the post "Book Review: "I, Sniper" by Stephen Hunter"
EuroOptic.com has about 40 units at this price. They are offered with either Rapid Z 800 or Rapid Z 600 reticles (both illuminated). 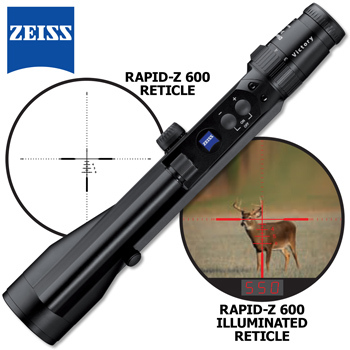 The Zeiss Diarange is a unique products that combines a very high-grade riflescope with an integrated laser rangefinder. Measuring range for the laser is from 10-999 yards, with a measuring accuracy of ± 1 yard up to 600 yards and ± 0.5 % of reading at ranges beyond 600 yards. Ranging is fast and the scope offers outstanding low-light performance. For a hunter looking to simplify his load-out, the Diarange allows you to sight your prey and range it with one device. You can keep both hands on the rifle at all times and you can keep your muzzle on target while you’re ranging. Eurooptics’ $2400.00 price is a lot of money, to be sure, but consider that the discounted Diarange gives you a high-end scope AND a rangefinder for about the same price as a Zeiss Diavari scope by itself. Share the post "Zeiss Diarange 2.5-10×50 on Sale for $2400.00"